The Eastern Cape will officially be declared a national disaster area by March 15. The declaration will see different national and provincial government departments working together to ensure farmers receive the necessary relief while groundwater exploration continues for water to be used by residents. The scheduled declaration by Cooperative Governance and Traditional Affairs (Cogta) Minister Des van Rooyen follows a reclassification of the Eastern Cape, Western Cape and Northern Cape as national disaster areas on Tuesday last week. Cogta spokesman Legadima Leso said consultation aimed at working on a programme of action between various government departments was under way. 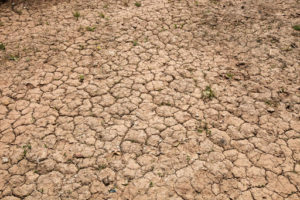 The three provinces also submitted requests for funding, with the Eastern Cape asking for R7.7-billion for drought alleviation. Leso said Van Rooyen was considering the requests from the three provinces and an announcement would be made once it had been decided how much each province would receive.